Continuing with a bunch of the completed insert sets that I’ve neglected – I’ve moved on from the more recent Topps sets to sets that are actually in my Lifetime Topps project. This one I completed almost a year ago. This is actually a Topps Traded insert – though you could technically say this is a partial parallel set. Set description: The first 10 cards of the ’95 Traded made up a subset called “At the Break”. The cards have the wording “At the Break” split by a baseball on the left side with a wood design with the player name and team logo at the bottom. Topps created refractor versions of the same cards and inserted them 1 per box. They are printed on much thicker stock with diffraction (“power boost” background. The card backs have a head shot and mid-season statistics for the player. Inserted: 1995 Topps Traded packs. 1:36 odds. Thoughts on the set: It’s a cool set. I like the thicker card stock, and the refractor like technology is pretty nice, too. 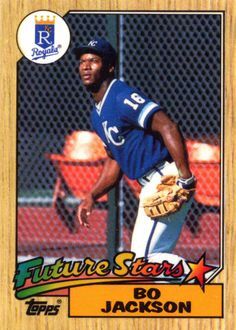 I kind of wish it wasn’t just the first 10 cards of the set – but I also like the idea of having “mid-year” stats on the back of cards in a Traded set. 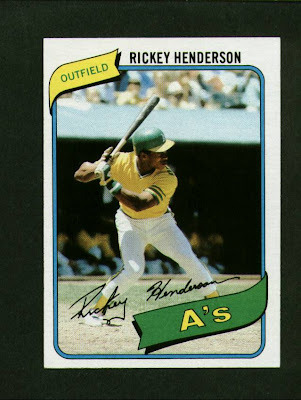 Topps could do something like that these days and I would like it. 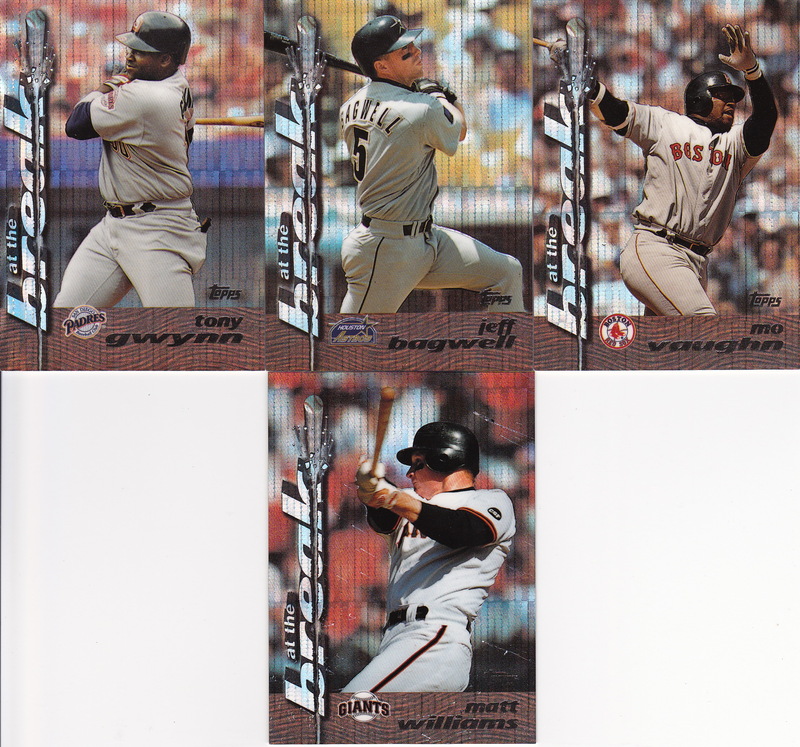 I also like that the first three cards are Thomas, Griffey and Bonds – the three best hitters of the 1990’s! 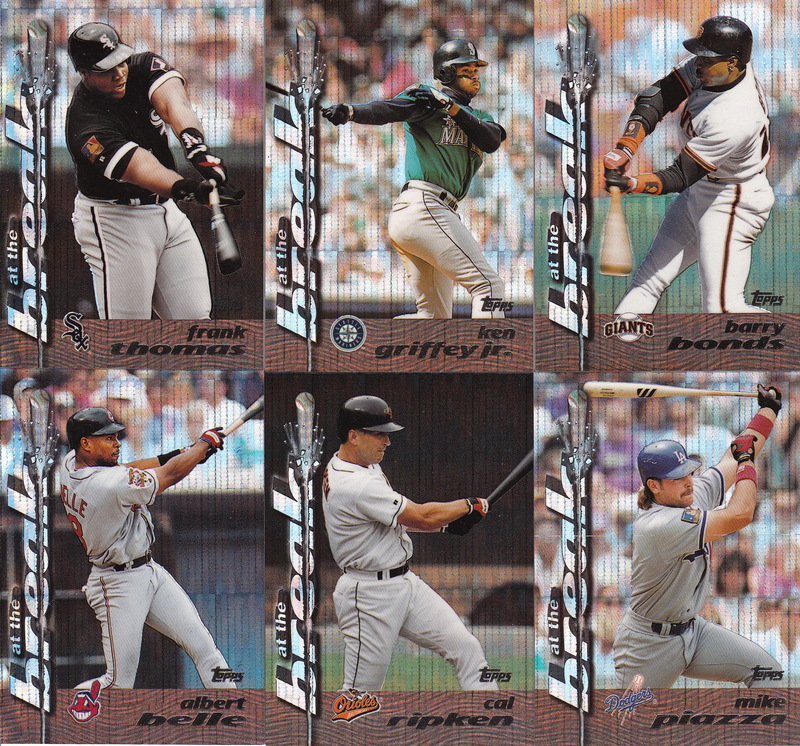 Card that completed my set: #2 – Ken Griffey Jr. I got this card from COMC back in November as part of their Black Friday promotion. Best card (my opinion): #2 – Ken Griffey Jr.
Griffey or Mo Vaughn have the best photos in this set. My Favorite Reds card: There are none. Though Barry Larkin would have been appropriate since this was his MVP season.